External Announcements is a very basic modpack maker utility mod. That allows creating an external news file that will display in-game as chat messages. To provide updates about modpacks, server, or just advertise information. The first time value is the delay to first show the message. This can be set in seconds(s) or minutes(m). Second time value is how long to wait before showing the message again. There is no limit on the number of messages. The path to the announcement file is set in the config file. Prefix the path with "FILE:" to note that it's local, and "URL:" for remote locations. Has this been abandoned? I could see this being quite useful. The mod has been "forgotten" But updating it from 1.7.10 and up to 1.12 shouldn't be too difficult. I'll see if I can't get a release out in a few days or so. A wild EnderMedia appears and asks if this mod is on 1.10.2 yet, or will be soon? Think @Hennamann will be updating it here shortly if he has not already. Aaaand a 1.10.2 version is available for download. Enjoy! Wow that was super quick, thanks! Since it seems a lot of people are interested in this mod now ☺, does that mean the planned features listed will actually be implemented at some point? The goal is to get most if not all of the listed features added, the most recent addition was support for JSON instead of .txt files. Things like color and general text formatting are on my radar and will be added at some point in the future, but no ETA on that. 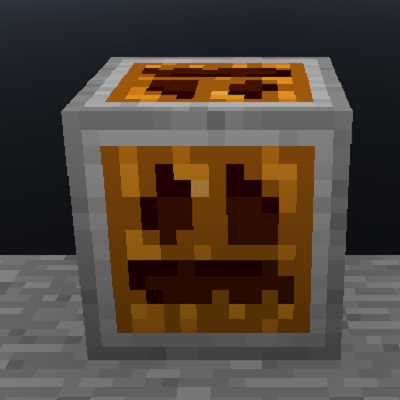 Can I have this for 1.8.9?? Yep, 1.8 and 1.9 are already done. Just waiting on some build script fixes before we release.